An update of the monopoly game. It's a twist right out of today's headlines: free market competitors clash with ruthless monopolists. 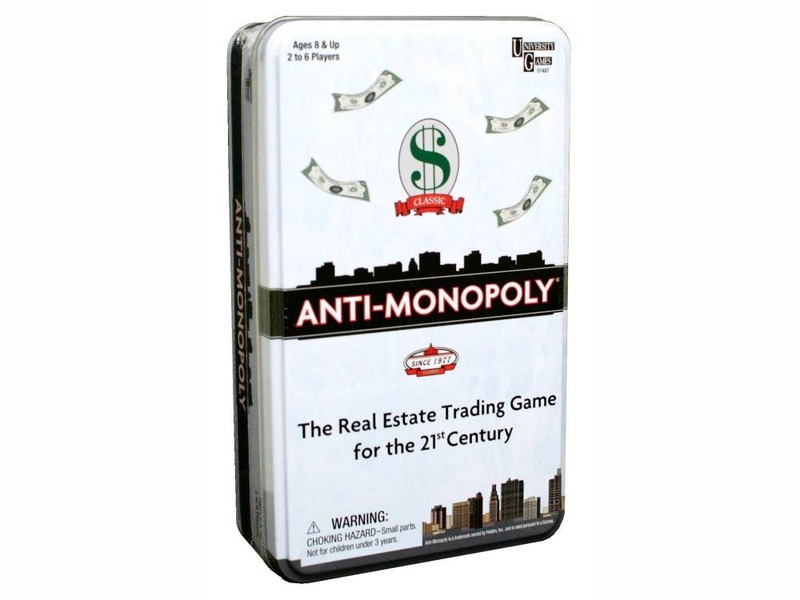 In Anti-Monopoly, players are divided into competitors and monopolists before the game starts. The two types of players then follow different rules in their quest for big money. It is this idea of movement and choice which allows Anti-Monopoly to be the first and only game in history which clearly distinguishes between the actions of competitors and monopolist.